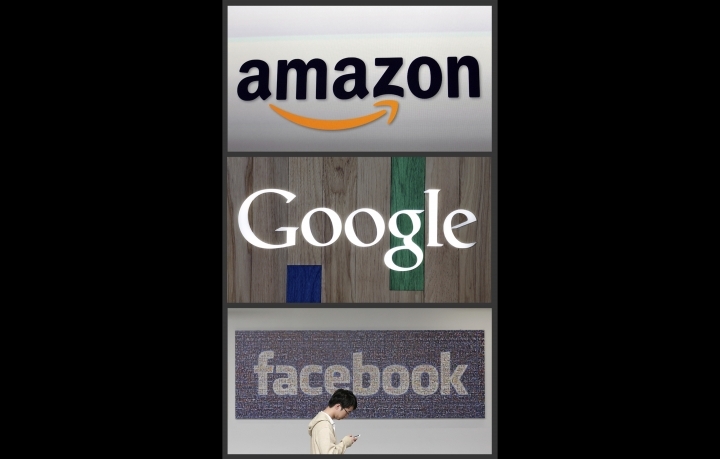 LONDON — Facebook, Google, Amazon and Apple are once again being cast as monopolies that have become too powerful for society's good, a recurring theme that's increasing the pressure to rein them in. Wednesday's dual attacks provide more fodder in a worldwide debate about whether stricter rules need to be drawn up to handcuff or even break up leading tech companies as they try to extend their tentacles into new markets. In the U.S., Democratic presidential candidate Elizabeth Warren last week proposed breaking up the biggest U.S. tech companies, saying they have too much market and political power. That high-profile missive further emboldened long-time critics such as former U.S. Labor Secretary Robert Reich, now a professor of public policy at the University of California, Berkeley. In a recent opinion piece for The Guardian newspaper in Britain, Reich compared Facebook, Google and Amazon to "robber barons" who built business empires on innovations in the late 19th century and were eventually broken up to foster more competition. "I think we are seeing a turn of the pendulum," Reich said Wednesday in an interview with The Associated Press. "I think Silicon Valley executives really need to take a hard look in the mirror." The British government's new report was led by Harvard University professor Jason Furman, who was a chief economic adviser to former President Barack Obama. The report found that global tech giants don't face enough competition and says that existing rules are outdated and need to be strengthened. Apple didn't respond to requests for comments on Spotify. Google and Amazon also didn't respond to request for comment on the British report, while Facebook declined to comment. But in the past, all four companies have fiercely defended their business practices and attempted to make cases that there is still ample competition in their respective markets. And the companies' supporters, including legions of lobbyists hired to influence lawmakers, note there is little evidence that their actions have hurt consumers by driving up prices or degrading the quality of their services — many of which are free. Nevertheless, Britain's House of Lords recently called for a new digital regulatory authority to provide overall oversight. — Rewriting rules so authorities can better stop digital mergers likely to "damage future competition, innovation and consumer choice." Critics have contended one way tech companies protect their turf is by using their cash and stock collectively worth trillions of dollars to buy promising startups before they can evolve into competitive threats. Liedtke reported from San Francisco. AP Technology Writer Rachel Lerman contributed from San Francisco. This story has been corrected to fix the spelling the Harvard professor's last name. It's Furman, not Fuhrman.